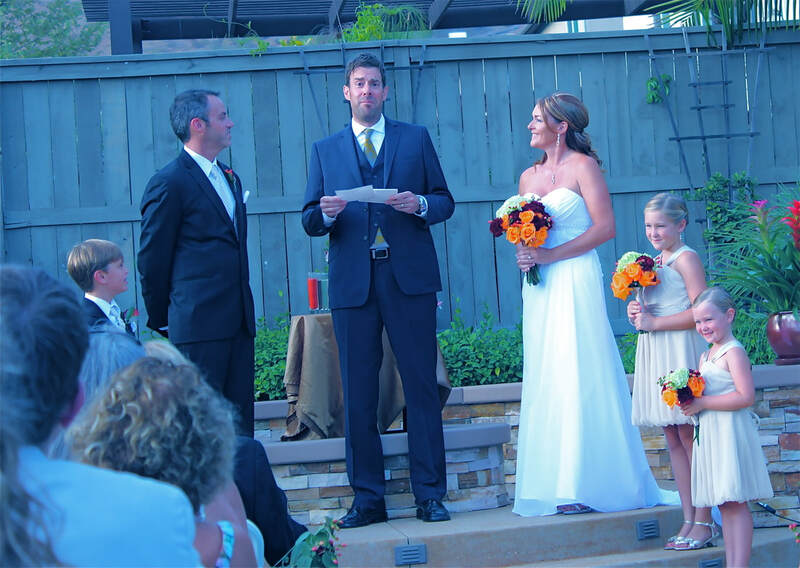 "Adam made our wedding wonderful and memorable--here we are, years later, and our guests still bring him up by name and talk about how much they loved what he did. Adam has a performer's sensibilities, knowing exactly when and how to lead a crowd. 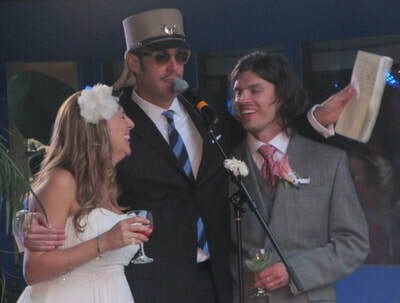 Once he had the mic, we could relax because he ran the show, making the typical wedding traditions much more fun for us and engaging for our guests. As a former wedding planner, I could not recommend his services more highly." "I consider this weekend as one of the best and most fun of my life and Adam was a large part of it. He was equal parts funny and sentimental, which struck the perfect chord when trying to appeal to the range of guests. He even brought fake mustaches for the kids. He was really the host of the entire weekend, from the rehearsal dinner, to the reception, to even the post-reception booze fest. It took so much pressure off us to know that Adam was there to ensure everyone had a great time." 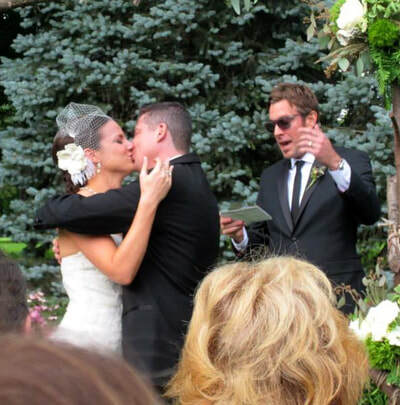 "My wife and I planned our wedding in three months. We had a few must-haves: all-in-one venue, drumline, and Adam Voss. He was the perfect emcee to hold the spotlight when we didn't want to. He can direct the attention in a crowded, noisy room and make the audience laugh and cry with humor and an adept sentiment of the occasion. Adam works well under the gun and with limited guidance. His background in improv comedy and years of performance experience give him the tools to handle any situation with grace, professionalism and positivity. He's hilarious and will make fun, memorable moments for the kids and the grandparents and everyone in between."